The Bishop's Palace (aka Gresham's Castle) was built between 1887 and 1892 for Walter Gresham, his wife, and their 9 children. At the time it was constructed it is said to have cost an estimated $250,000. In today's market that's over $5.5 million!!! 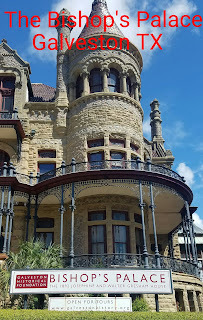 Made of stone, this mansion was sturdy enough to withstand the hurricane of 1900 and able to house many survivors which the Gresham family welcomed into their home. 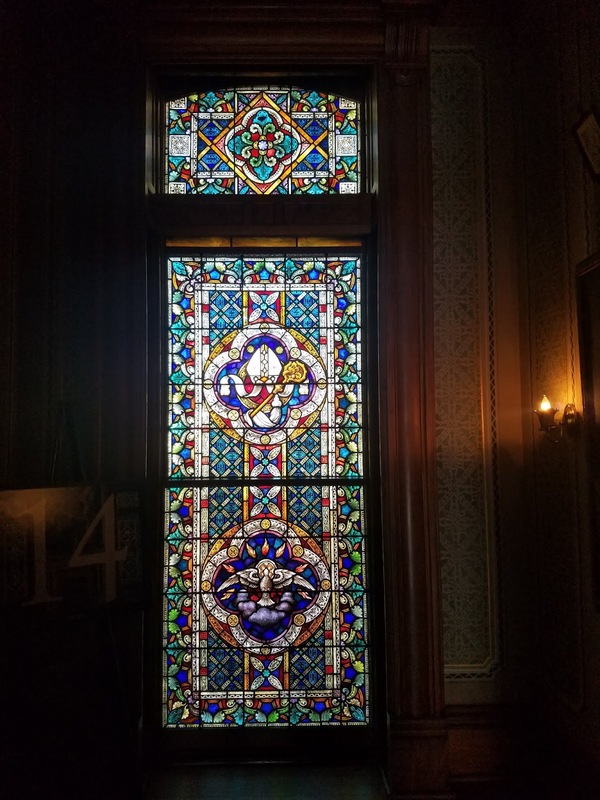 The Victorian style is evident throughout the entire home with the most impressive being the beautiful main staircase which was completely hand carved and took many years to complete. 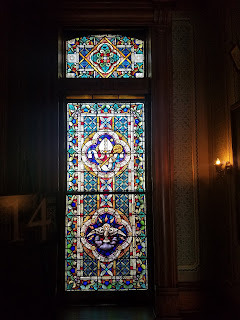 The home was sold in 1923 to the Roman Catholic Diocese of Galveston who used it as the residence of Bishop Christopher Byrne earning the name The Bishop's Palace and giving us the beautiful stained glass windows in the chapel (GORGEOUS). The home was opened to the public for tours in 1963. Today the home still stands tall and proud on Broadway Street. It's impossible to drive by this mansion without noticing it's grandeur. At 19,082 square feet it's quite impressive! The home is open for tours daily so if you have time you should definitely stop by and check it out. 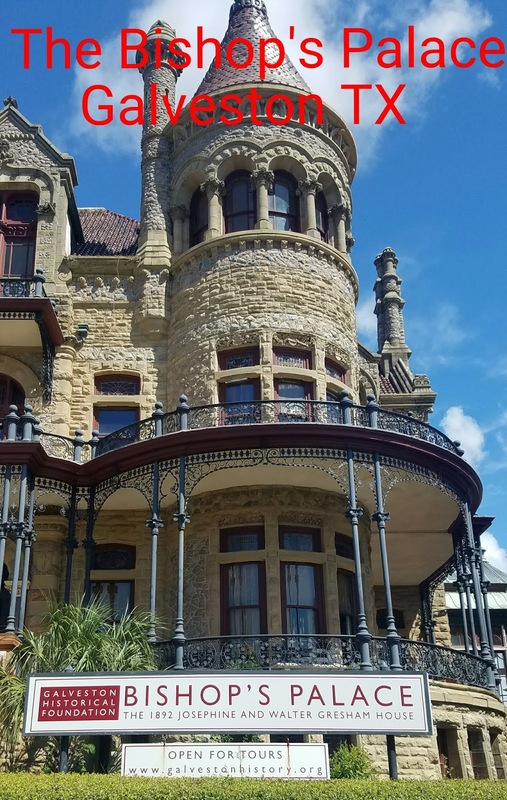 All tours are self guided (unless you make a reservation for a guided tour) so you can tour this beauty at your own pace and take the time to really appreciate all the hard work that went into making this little piece of Galveston history. -The basic tour is a self guided audio tour and the volume is quite low so make sure to hold the tablet as close to you as you can (depending on the size of your group this may be hard to do). -You don't enter the home through the main staircase. There are stairs to the left leading down to the basement where you enter the gift shop. This is where you purchase admission tickets. I made the mistake of walking all the way up the stairs before realizing this. -The tour may not be suitable for small children as there is nothing to keep their interest and they will become bored quickly. 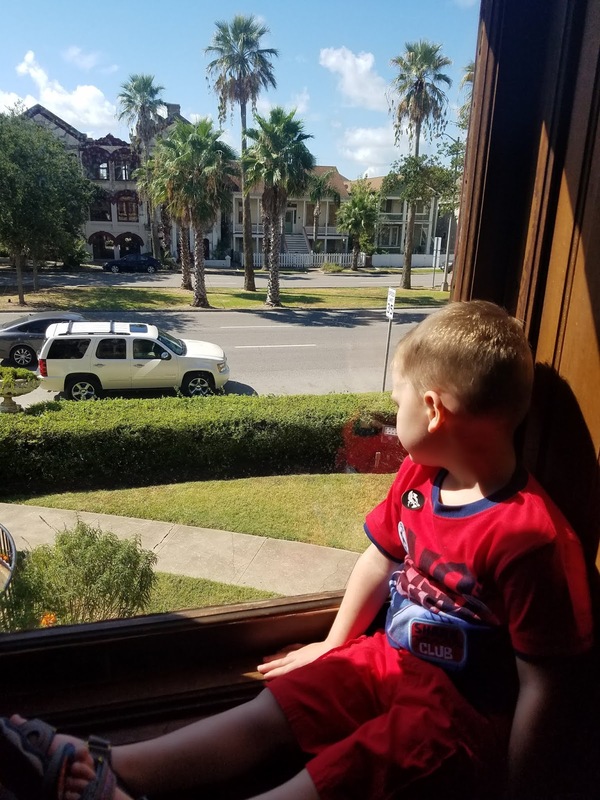 My 2 year old son wouldn't stand still and thought this huge house was his personal playground. -Don't miss the sign in the gift shop which shows how high the water level was during Hurricane Ike 2008. I was shocked at just how high the water was at that time. Overall, I give this 5 stars for historical significance and architecture. I will visit again when my son is older and can actually focus (and let Mom focus) on the audio guide. Don't miss out on this historical treasure! Great job! Now I have to go!